Some degree of cognitive decline is part of the normal aging process, but it shouldn’t have an impact on the ability to perform routine activities. When someone you know begins to experience changes that interfere with daily life, he or she could be experiencing early signs of dementia. Scientists at Lifespan-Rhode Island Hospital have developed an eye-scan technique that might detect early signs of Alzheimer's disease. It is well documented in scientific literature that aging is associated with certain cognitive changes. As we get older, we experience some gradual decline in conceptual reasoning, memory, and processing speed, but these changes don’t keep us from going about our normal activities. 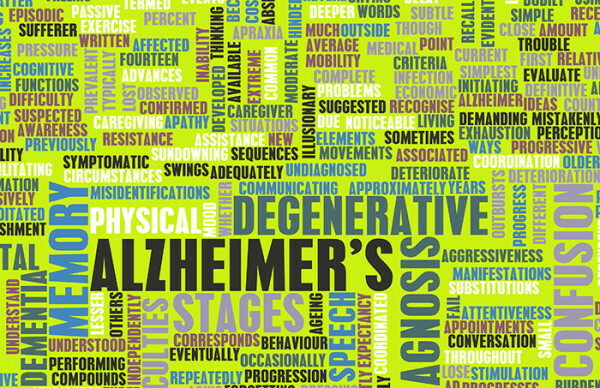 Dementia, on the other hand, can significantly affect the ability to perform daily functions. A condition caused by any of a number of diseases, dementia involves loss in two or more core mental functions (memory, language, or judgment, for example). Statistics show that approximately 14 percent of Americans aged 71 years and older suffer from dementia. Yet dementia—also called senility, as the U.S. National Library of Medicine points out—can also occur in younger individuals. Early-onset dementia occurs in people under the age of 65 and accounts for approximately 5 percent of all cases of dementia. Signs of early onset dementia are often missed because healthcare providers and family members aren’t typically looking for them in people in their 40s and 50s. Early signs of dementia in the old and signs of early onset dementia in the young are the same. Identifying these signs and symptoms is critical to diagnosing dementia and its underlying cause. Sometimes, early dementia symptoms are dismissed or chalked up to stress or normal aging. However, when you start to notice a regular pattern of these symptoms in someone you know, it’s time to bring him or her to the attention of a healthcare provider. Subtle memory loss: Lapses in memory, particularly of recent events, are common in early dementia. These lapses can be seemingly insignificant—such as someone forgetting what he or she had for breakfast that morning—but can also be more dramatic (forgetting a major work event, for instance). Often, people in the early stages of dementia will find themselves increasingly needing to rely on reminders such as post-it notes, lists, or alarms. Challenges with daily tasks: Activities that used to be a normal part of the day might begin to seem more daunting and difficult to complete. You might notice that someone has trouble following the plot in a movie or keeping track of bills. Problems with words: We’ve all had moments when we have to pause to recall a word we’re looking for, but when this becomes an increasingly common problem, it could be an early sign of dementia. Other language problems might include difficulty following a conversation or losing train of thought while talking. IS IT DEMENTIA—OR SIGNS OF DEPRESSION OR STRESS? A number of factors may lead to changes in cognition, among them sleep apnea, a thyroid disorder, vitamin deficiencies, or medications. Another common factor involves mood disorders, including depression, stress, and anxiety, which can cause memory, attention, and concentration problems sometimes mistaken for dementia or Alzheimer’s disease. Mood alterations: Changes in mood are common in early dementia. Depressive symptoms are the most common mood changes, but anxiety is often an early dementia symptom, particularly as people feel increasingly challenged by other areas of their life. Isolation/withdrawal: People may begin to avoid social activities they once enjoyed or abandon hobbies or interests they previously devoted considerable time to. Difficulty with problem-solving: This early sign of dementia can range from difficulty following directions to a location to not understanding the money involved in a shopping transaction. Keeping track of the different factors involved in reaching a solution to any problem becomes increasingly challenging and often leads to confusion and frustration. Disorientation to time and/or place: Dementia can blur the distinctions of time and place. People may not only forget the current date but lose track of the timing of both remote and recent events in their lives. Losing sense of location is also common. People may forget once-familiar landmarks or begin to associate them with incorrect locations. As an early dementia symptom, this disorientation may be sporadic, but it often progresses with time. Changes in judgment: Judgment is one of the core cognitive functions often impaired by dementia. Changes in judgment may range from scenarios in which someone loses the ability to assess the weather and dress accordingly (wearing a sweater and winter coat, for example, when it is hot and humid outside) to a person making impulsive decisions inconsistent with their normal behavior (for example, ordering large quantities of an item he or she doesn’t need after watching an advertisement on TV). Alteration in vision: Vision impairment is one of the lesser-known early signs of dementia, but it is a relatively common symptom. Individuals may begin to have difficulty reading (such as reading the print in a magazine they have read for years), distinguishing colors, and perceiving distances. These changes can jeopardize a person’s ability to drive safely. Which early signs of dementia an individual experiences—and the degree to which those symptoms affect his or her life—varies from person to person. If you begin to notice that any of these changes are occurring with increasing frequency, it is time to seek medical attention. Healthcare providers can determine whether these changes are early dementia symptoms and, if so, begin testing to identify the underlying cause. 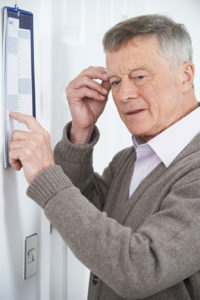 In some cases, treatment options are available to slow the progression of the disease (treating high blood pressure, for example, that has caused vascular dementia) or to help relieve some symptoms (cholinesterase inhibitors such as Aricept, for example, can help slow memory loss in Alzheimer’s disease). Furthermore, making financial, legal, and caregiver plans for the future can help a family navigate the challenging road that lies ahead. aging, alzheimer, anxiety, apnea, aricept, blood pressure, breakfast, cholinesterase inhibitors, cognitive function, cure depression, dementia, dementia hereditary, dementia symptoms, dementia test, depression, depression stress, depressive symptoms, early dementia, early onset dementia, early signs of dementia, early signs of dementia checklist, early stages of dementia, health, health news, high blood pressure, how to cure depression, how to deal with stress, how to improve memory, how to improve memory power, improve memory, improve memory power, is dementia hereditary, memory, memory loss, memory power, mood, signs of dementia, signs of depression, signs of early onset dementia, sleep, sleep apnea, stress, stress and anxiety, thyroid, to improve memory, treating high blood pressure, university health news, vascular dementia, vitamin, weather, what does anxiety feel like.